CRISPR-CAS9 gene editing complex from Streptococcus pyogenes. The Cas9 nuclease protein uses a guide RNA sequence to cut DNA at a complementary site. Used in genome engineering and gene therapy. 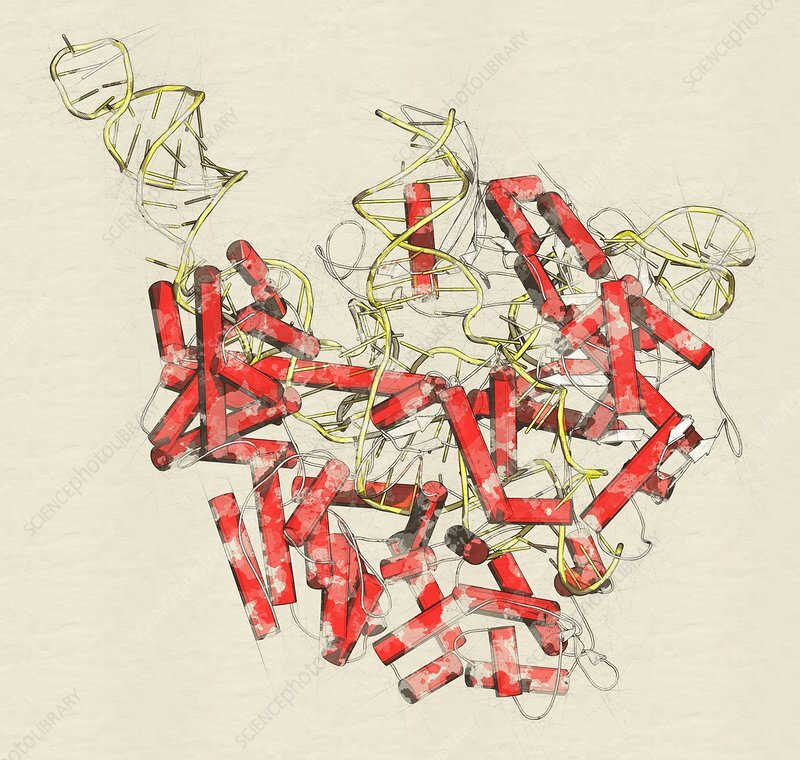 Stylized cartoon model; protein coloured red, DNA and RNA yellow.